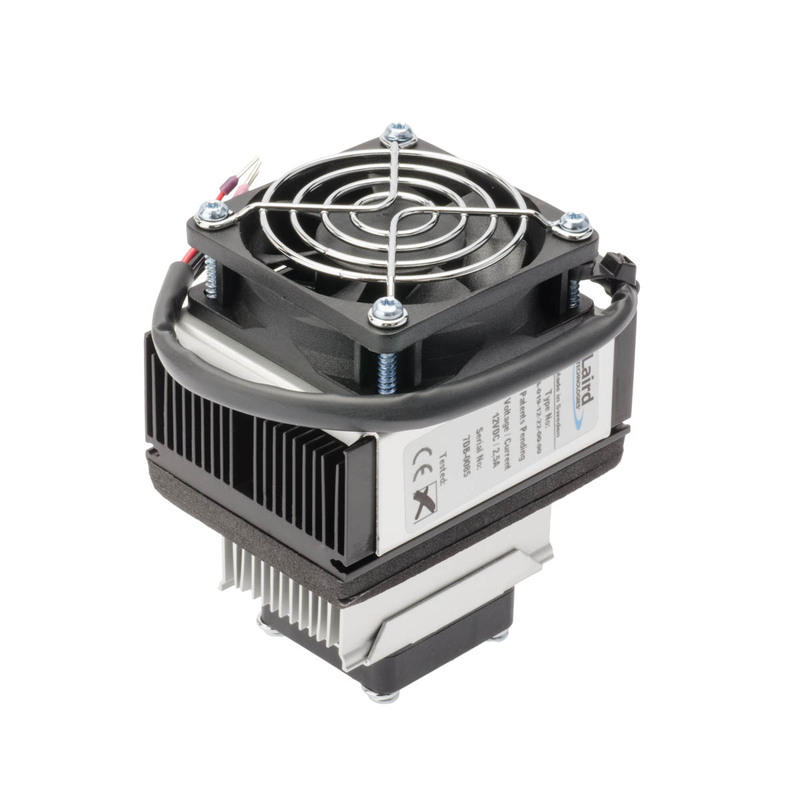 The AA PowerCool Series is an Air-to-Air Thermoelectric Assembly (TEA) that uses impingement flow to transfer heat. It offers dependable, compact performance by cooling objects via convection. Heat is absorbed and dissipated thru high density heat exchangers equipped with air ducted shrouds and brand name fans. The heat pumping action is created by thermoelectric modules, which are custom designed to achieve a high coefficient of performance (COP). This product series is available in a wide range of cooling capacities and voltages. Custom configurations are available, however, MOQ applies.